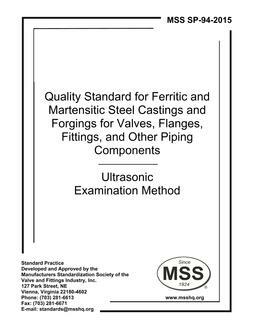 1.1 This Standard Practice provides methods and acceptance standards for ultrasonic examination of ferritic and martensitic steel castings for valves, flanges, fittings, and other piping components. 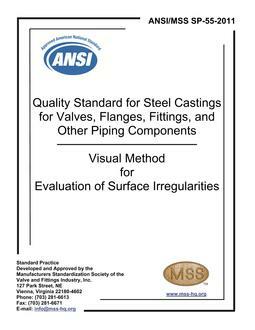 It is applicable to examination of repairs as well as to the initial examination of castings. 1.2 The methods of Section 8 describe uniform procedures which will provide satisfactory and consistent results upon which the acceptance standards of Section 11 may be used. 1.3 It is recognized that ultrasonic examination and radiographic examination are not directly comparable. 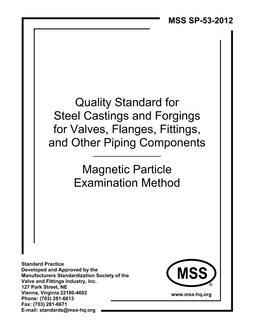 This Standard Practice is intended to provide a casting of functionally equivalent quality to those accepted by the method of MSS SP-54.